Grateful Dead guitarist Bob Weir has announced 2016 North American Campfire Tour dates that will be in support of his upcoming album, Blue Mountain. At this time, eight concerts are scheduled for California, Pennsylvania, New York, and Tennessee. Joining him on the road will be members of The National (Aaron Dressner, Bryce Dessner, Scott Devendorf), as well as Josh Kaufman who is best known as a winner of NBC's The Voice. If you want great tickets without the headache, check out Zumic’s preferred ticket broker: Superstar Tickets. No fees, 125% money-back guarantee, and use discount code SHOPCONCERTS for 5% off your purchase. 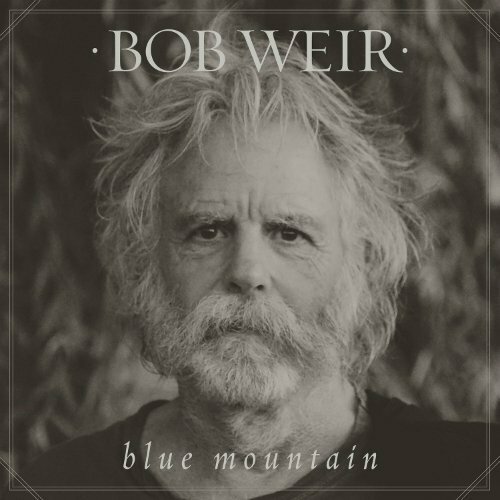 Blue Mountain, Bob's first new album in over 10 years, is scheduled to be released on September 30, 2016. It will contain ten original songs, and according to Bob Weir's website, the music will be, "A deeply personal collection of music inspired by the ranch stories and fireside songs of Bob’s youth, told with amazing wisdom and heart." In addition to the band members listed above, the album includes contributions from Joe Russo, Jay Lane, Robin Sylvester, Steve Kimock, Josh Ritter, and others. Pick it up on Amazon. When do Bob Weir 2016 tour tickets go on sale and what is the presale code? Ticket presales begin on August 9 at 10 AM local time through BobWeir.net and VIP packages. SiriusXM, Live Nation, and LN Mobile App presales begin August 10. Local radio / venue presales begin August 11. The general public on-sale begins as early as August 12, 2016 at 10 AM ET. There is a rumor that the SiriusXM presale code is SiriusXM. The Live Nation presale offer code for August is ENCORE and The LN Mobile App password is COVERT. We recommend following Bob Weir on social media, in addition to checking your local venue, to get the most up-to-date information and exclusive offers. Each show can be different, so check the links above for more information and direct ticket sales. For more music, news, and tour information about Bob Weir, check out his Zumic artist page.